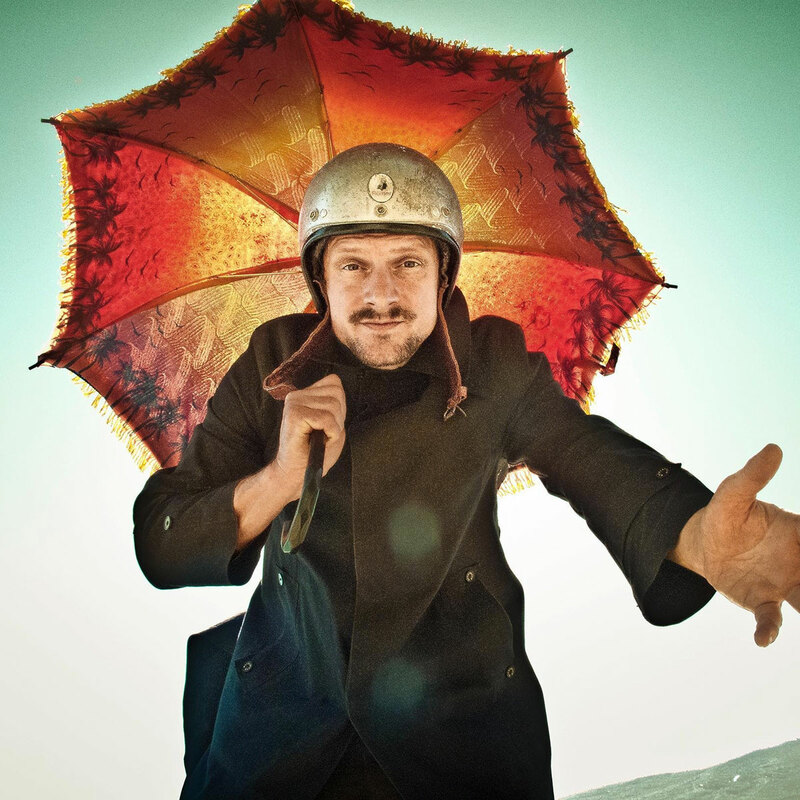 DJ KOZE - Circus Company artist profile and releases. Profession: DJ, Musician (International PONY, Adolf Noise). Remixer for many, including Chicks On Speed, Matthew Dear, Rah Band, Battles, Matias Aguayo, Lawrence and many others. So let’s go back to where it all began. It’s the mid 1990’s and DJ Koze was slowly working his way up through the German Hip-Hop scene. Together with his band Fischmob and their breakthrough German chart hit full-length “Power”, the act found their way into the German pop charts and a ravenous, leftfield minded fan-base. But though DJ Koze had a taste of pop success with Fischmob, he was keeping a keen ear towards experimenting with other forms of electronic music, whether it be ambient and break beats to wild sound collages from a myriad of musical genres. Time goes by and DJ Koze found himself as the turntable wizard for the legendary Hamburg trio, International Pony. Their memorable debut album ‘We Love Music’ (Sony) was received to much critical acclaim and eventually signed by Norman Cook´s Label Skint for Great Britain. International Pony remain one of the most entertaining live acts on the planet given their love for great music equaled with an equal dose of intelligent humor. And of course we can’t go without mentioning his alter-ego Adolf Noise here…an abstract alter-ego, his 2005 full length “Adolf Noise, Wunden’s Beine Offen” brought together a myriad of samples and grooves into a highly enjoyable listen – demonstrating once again Koze’s love for the fringes of musical expression. So that brings us to present….riding solo, DJ Koze remains as one of the most integral musicians in dance music. Never taking the easy road, he brings an eccentric tone to a rotting formula while ingeniously keeping the soul and feeling of what proper techno/house music is meant to evoke. This is perfectly demonstrated on his Kompakt full length “Kosi Comes Around”. We’ll leave it to leading online tastemakers Boomkat to speak up on this topic, having declared the album ‘by far and away the best album Kompakt have released…a tracklisting that’s perfectly tweaked for the warehouse abuse alongside music that’s hand carved into the most delicate homespun niche you could possibly imagine.” Well put we say. His DJ sets are spoken of as fables…each experience seems to be unique to it’s own and it’s safe to say are truly, utterly mind-melting. DJ Koze’s turntablism skills from years of DJing hip-hop come out to play in his sets as shreds the techno/house DJ formula into bits, provoking a convoluted blend of ecstatic breaks and beats that borderline the psychedelic. Remaining hype to convince the non-believers – the press and public love him and he’s a regular face to the year end charts and votes. Germany’s trend-setting SPEX magazine have voted DJ Koze the DJ Of The Years for 1999 – 2006 – yes that’’s 8 years back-to-back. Other German favs De:Bug and Intro share the same opinion, having voting him as DJ OF THE YEAR several times!! He plays around – a lot. Everywhere – just look at his booking calender. What the future holds for Koze is a mystery to all but himself, all we can hope for is that he never gives up on the paramont standards he sets for himself – an obvious reaction to the quality of output we are treated to through his music and his DJ sets.